I don't know if you have these kind of feelings: sometimes when you want to eat a certain type of food, it can't be replaced by anything else. 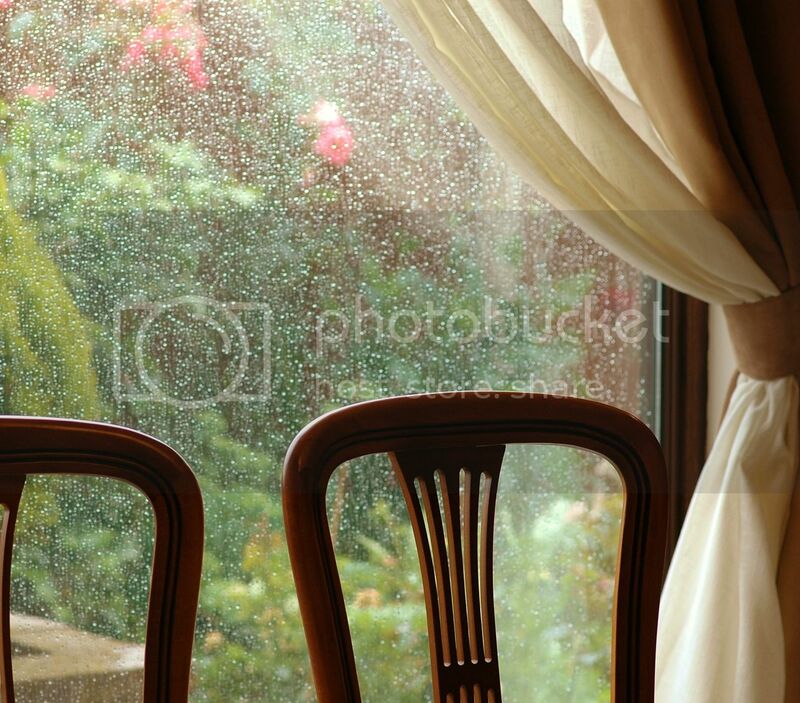 The weather for the last few days had been so unpredictable; wet and windy. When the Olympics ended, they seemed to have taken the two weeks of beautiful sunshine with them! 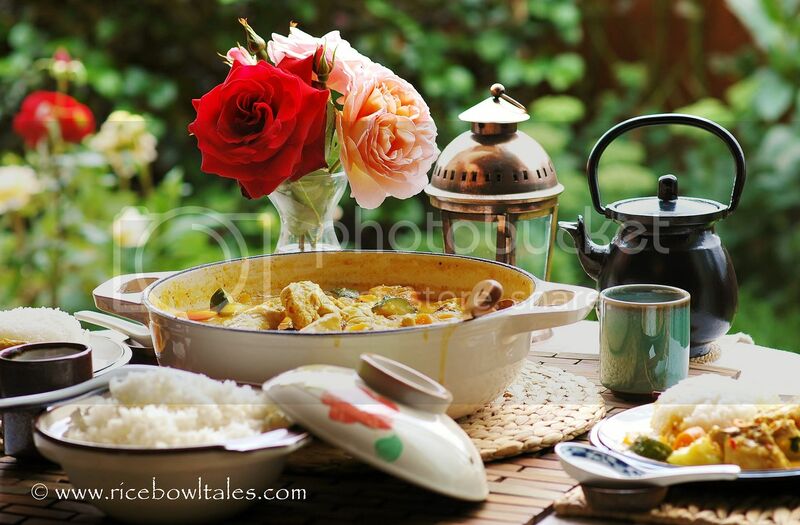 On such a wet and cold August day, I only wanted to make a big pan of curry, cook a big pan of rice; and just let everybody help themselves to a big plateful of dinner, and enjoy it happily! I love eating curry, doesn't matter if it's a recipe from any country. But I have a downfall: once I start, I can't stop! Curry dishes in restaurants are often rather oily and spicy. As I get older, I don't order it as much when we dine out. If I want to have curry, I will make it at home. Traditionally, all Thai curries are made with the same ingredients except for one thing, the chillies. 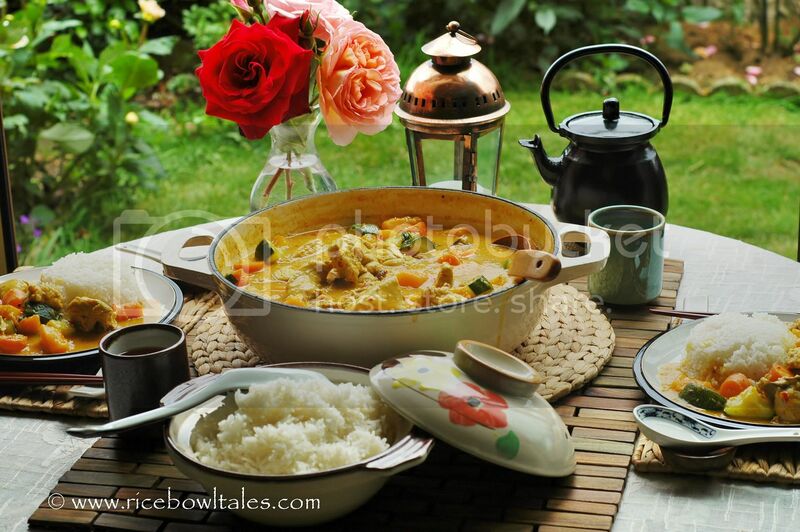 However, as time went by, other ingredients were added to enhance these curries, making them more distinctive. 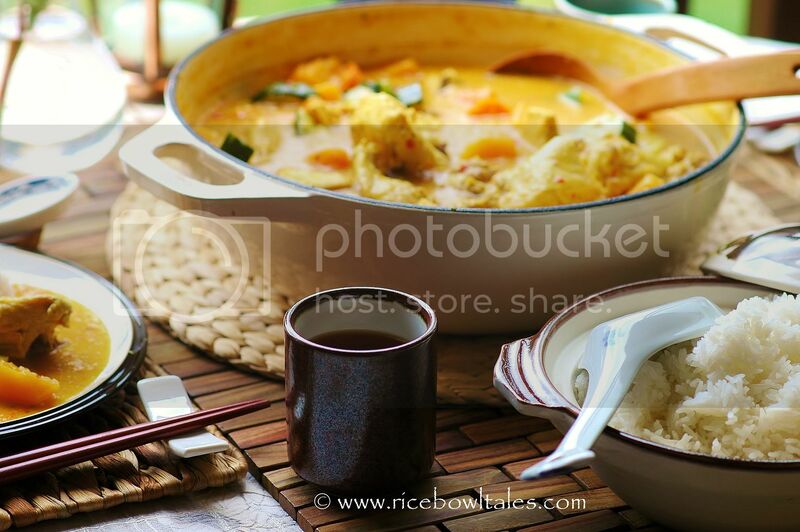 This time, I made the Yellow curry. The main spices are : Turmeric, Paprika and Ground Cumin, just use a food processor or blender to make your own curry paste. With added fresh vegetables and meat, you can have this curry whipped up and serve within an hour. 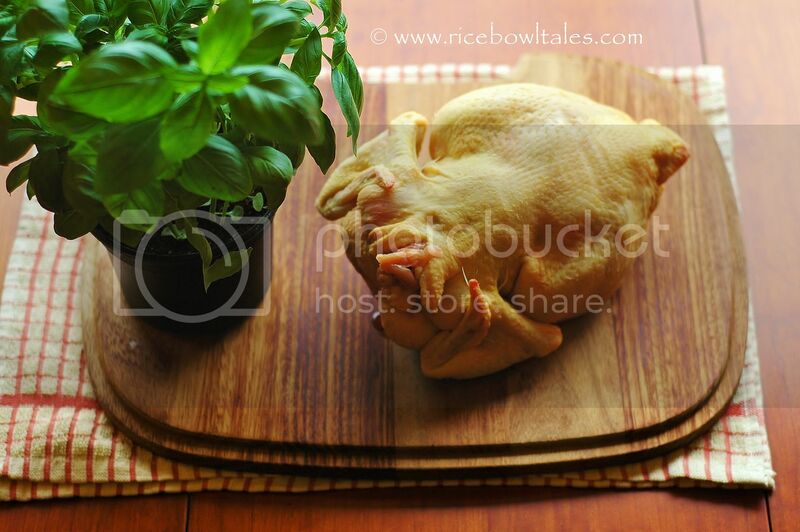 3 - 4 lb chicken or 4 chicken legs, skinned (or boned if preferred ), chopped into big pieces. Half of a squash or equal amount of any type of pumpkins, cut into big chunks. First make the paste. Apart from the three type of spice powders, blend or process all ingredients to form a thick paste consistency. Empty into a bowl, mix with the spice powders and leave to one side. Heat oil in pan, place chicken pieces in to stir - fry till slightly golden, add the curry paste and fry for a few minutes. Pour in the stock, bring to boil, cover and simmer for 20minutes. Put all the vegetables with the coconut milk in pan, bring back to boil, cover and simmer for further 20 minutes till the meat and vegetables are tender. Seasoned with salt and sugar, stir in the corn flour water mixture to thicken the curry sauce, bring to the boil, stir in the chopped Basil leaves / Corianders then serve. 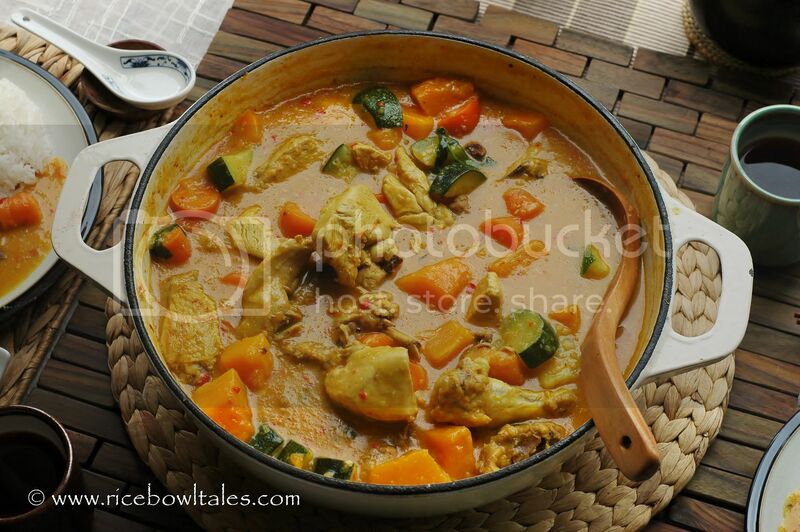 Chicken curry can be made a day ahead, keep in the fridge when cooled. To make such a big pan of curry for your family, with little added salt and oil, so healthy and delicious, and it only took under an hours time. Seeing everybody enjoying the hearty meal, is very rewarding. Thanks Jane, it looks delicious! Less oil and salt! Sound like something for my hubby! Indeed for our whole family,! 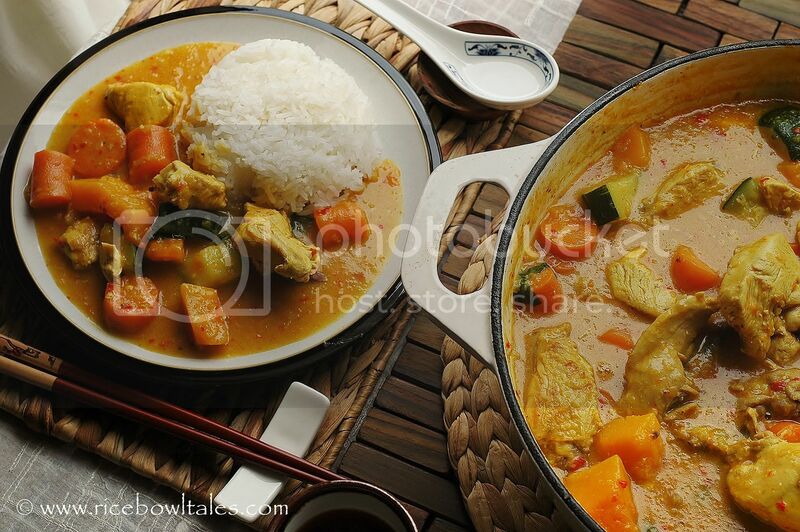 I love all types of curry, especially I love Japanese and Indian curry, as for Thai curry, I only know green curry which use ready mix pack, never cook from the scratch. 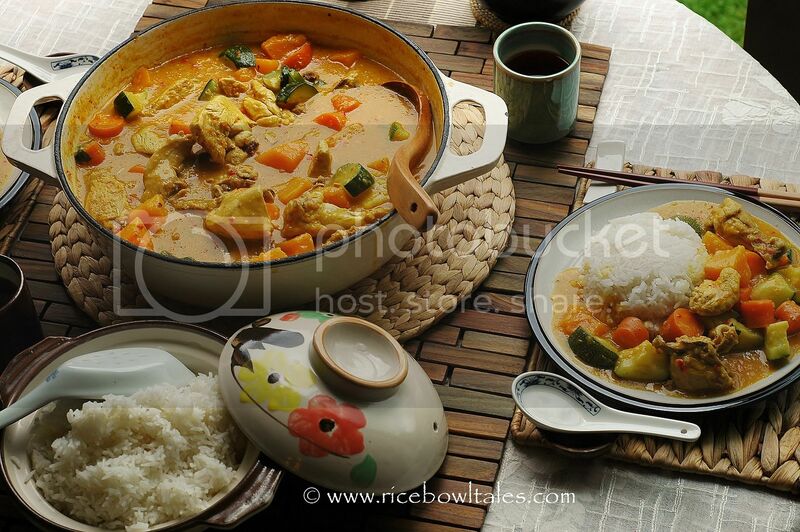 Your version of Thai curry, sound so yummy . 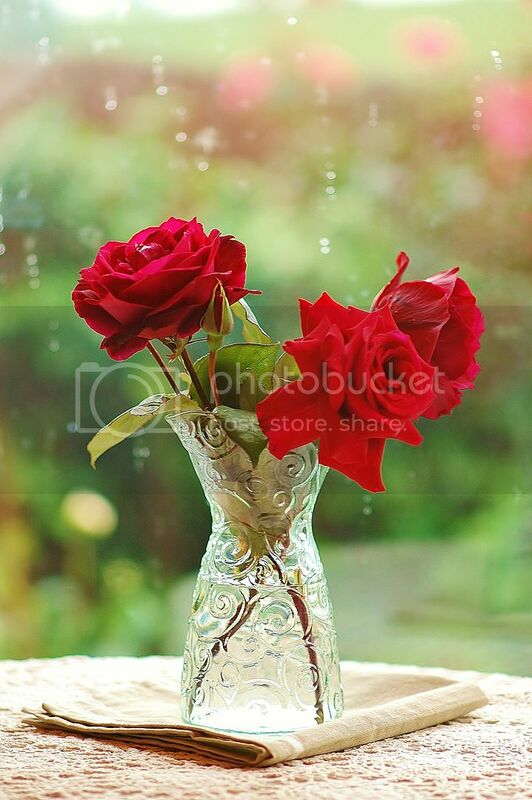 Ya, forgot to tell you that I like the rose photo very much. Have a nice weekend. Unlike you, I crave more for savoury food, and I love rice, pasta, noodles, bread ... all the starchy and forbidden food haha!! Mmmmm I can already imagine the taste! 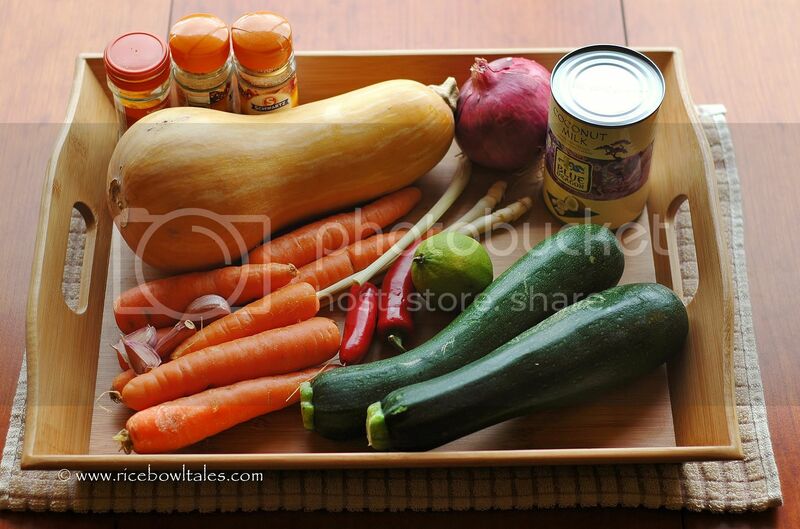 I like cooking curries at home as I can put in more veges and adjust the spices as I please. With a good curry I tend to go for seconds! It looks so delicious! 請问為什么没有放 curry powder? Me, too! Me, too! I love curry especially Thai green curry. Yellow is yummy, too. 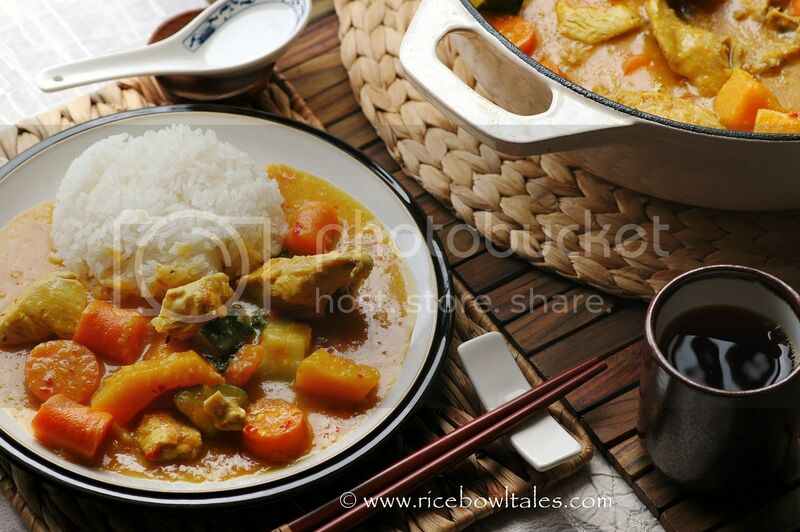 You must have had the opportunities to enjoy all the best curries available when you were living in Singapore!! 讀完你的步驟, 我實在想不出是甚麼理由你煮出來的咖哩會是苦的. 因為材料中沒有苦味的東西啊! 況且這食譜我已經做過了很多次, 我們都很愛吃的. 會不會你用的香料不對或過了期? 上湯, 椰奶都放了嗎? 或者你小心按食譜材料步驟再做多次? 我很多時都要同一食譜做兩, 三次才會成功的.